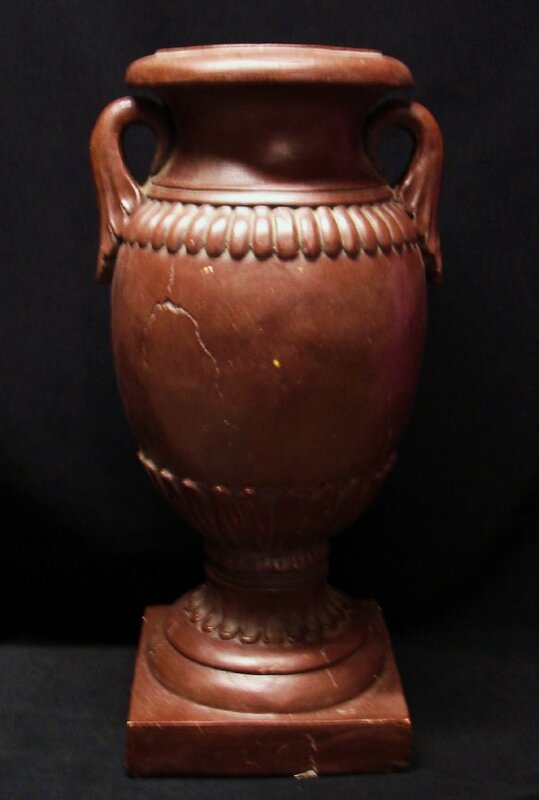 Dark brown resin urn with handles. 19" tall by 9" wide. Total of 4 available.